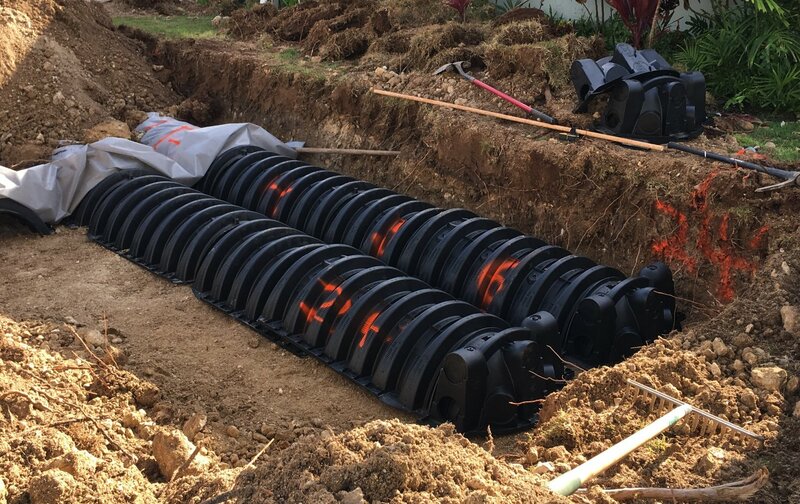 Innovations have made it easier to maintain septic system service, particularly the leach field. Septic systems use this network of pipes to partially treat and discharge wastewater effluents and graywater without damaging the environment. Soak pits allow the water to seep slowly into the ground. They usually contain gravel, but the material could damage the leach field. Biodiffusers are gravel-free alternatives that offer several significant advantages. While gravel provides effective septic drainage, it can be expensive and might have an adverse effect on the system if it enters the drain field and becomes compacted. Biodiffusers are constructed from high-density polyethylene, a durable yet lightweight material that is non-reactive to wastewater. These products provide maximum performance for your septic system service without risks. Since biodiffusers are lightweight, they’re cheaper and less intrusive to install than traditional pipe-and-gravel systems. Assembly requires only a couple of people, a backhoe, and a truck, which translates to reductions in the cost and time needed for installation. To improve the function of your septic system, biodiffusers maximize infiltrative surface areas while allowing effluent to flow in all directions. They can accommodate gravity-fed and pressure-dosed systems. To ensure the best performance from your septic system, waste disposal contractors recommend using the best materials available. Biodiffusers could be just what you need to boost the efficiency of your septic system service. First Quality Environmental has been providing high-quality waste disposal, waste management, and septic system services since 1991. This Oahu-based company takes pride in offering high-efficiency products and unbeatable customer service to homeowners, businesses, engineers, and government agencies. Call (808) 259-0100 to schedule service and visit their website for more information about the company.